Next time someone says libs care 'bout the "regular people...."
yep shows the plutocracy... i mean... Hypocrisy of the limousine liberals. but the complaints of the right here also show a bit of hypocrisy, in that SOME on the right say that businesses can DO WHATEVER they like in practically all situations. Here the company just decided to bump a customer who's money and opinion they didn't care about, with one who's they did. Is It Wrong That Members of Congress Get Special Treatment from the Airlines? Members are allowed to double and triple book flights home from Washington and pay nothing week in and week out for multiple changes while, in contrast, ordinary citizens can pay hundreds of dollars to make just a single flight change. Airlines cultivate a cozy relationship with members through that practice as well as special reservations desks that begin the very exceptional treatment members receive throughout the entire travel experience. I’ve explained this before, of course. And I’m not sure exactly how I feel about it. Government fares are refundable and changeable anyway. That’s not inherently coddling of legislators in exchange for favors. The government is a huge travel buyer and negotiates this. 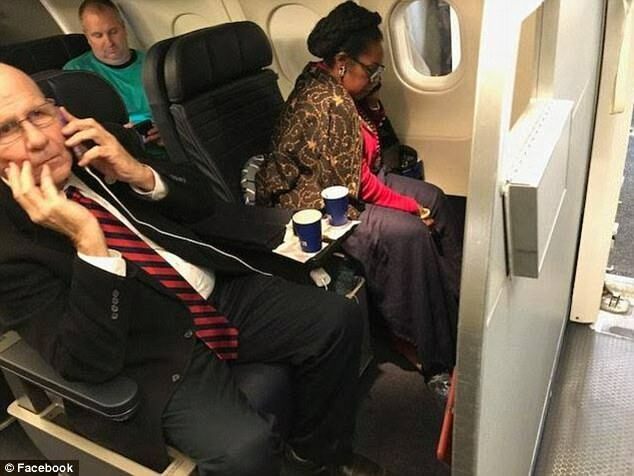 Members of Congress do get special accommodations, though, and dedicated assistance in holding space on a number of flights. Then again, I’ve been double booked my American Airlines club agents on a not infrequent basis (during irregular operations). Mitchell could have highlighted the Chairman of the House Transportation Committee dating one of the airline industry’s top lobbyists (and his staff director formerly serving as an industry lobbyist, and his chief of staff being married to one). There’s little question that legislators bend towards US airline lobbyists. And Delta, for instance, comps elite status to key politicians. Ted Reed writes, “Why Dump Smisek?” considering that United is hardly the first airline to fly a route at the behest of a politician, or more broadly to bestow favors and favored treatments on politicians. Here of course he refers to United’s “Chairman’s flight” between Newark and Columbia, South Carolina requested by and operated for the benefit of the Chairman of the Port Authority of New York/New Jersey which oversees Newark airport where United operates a hub. While the incident is embarrassing for United, and distancing themselves from their former Chief Executive helps distance themselves from a federal criminal investigation, it serves at least as pretext for ridding themselves of a CEO of an airline that hasn’t managed to complete merger integration after 5 years. has reliability and major IT issues, and has lost many corporate customers in recent years. Ridding themselves of ‘the Smisek problem’ would have been nearly impossible in an environment with such low fuel prices that the airline cannot help but generate record profits (albeit with lower margins than competitors). Nonetheless, Reed’s point is well taken: airlines frequently cozy up to politicians in exchange for favors. Despite nominal ‘deregulation’ the only regulation that’s really been eliminating in the airline industry is the government dictating which carriers can fly where and at what price. So it’s no surprise that they want to stay on the good side of those agencies, and their leadership — although they do not usually cross the lines that United and Smisek apparently did in the case of the Columbia flight. According to a former US Airways executive, who asked not to be named, routes that were started or expanded in the 1990s and 2000s in order to benefit politicians included National/Charleston, S.C., home of South Carolina Sen. Ernest Hollings, who was ranking member on the Commerce, Science and Transportation Committee; National/Portland, Maine, accommodating Sen. Olympia Snow (R) ; and National/Rochester, N.Y., home of U.S. Rep Louise Slaughter. He further points out an old arrangement US Airways had to offer flight discounts to a single Senator. In 2002, The Charlotte Observer reported that US Airways had a special arrangement with Sen. Hollings and his wife: If they complained about high fares, they could get lower ones. I’d add that it’s not surprising the Chairman of the Port Authority would feel empowered to ask for special treatment, considering the special airport treatment that members of the commission received as well. A California family says they were kicked off a flight — and threatened with jail for the adults and "foster care" for the children — for refusing to give up a seat for their 2-year-old son, despite having paid for it, in the latest controversy for a major airline that was caught on video. Brian and Brittany Schear, of Huntington Beach, California, told NBC News that they had already boarded a Delta Air Lines flight from Maui to Los Angeles with their two infant children on April 23 when they were kicked off the plane following an argument with officials. The Schears said they were then forced to find their own hotel, transportation and purchase new tickets for a flight the next day — all after midnight. just search "kicked off of plane" and you'll find hundreds of stories of how airlines play favorites and discriminate for bogus reasons. I suspect for being a Trump supporter ...or NOT being one... might have been among the reasons. And AZ, congress members of the right and left get perks and special treatment. Been going on forever. And sadly many folks on the right often defend airlines when they decide to MIS-treat random customers for BS "safety" reasons, or even UNSPOKEN reasons, based on the concept of private Airlines have the right... too make up bs rules on the fly... rather than treating ALL customers well/respectfully and equally based on clear established rules. the regulations of Airlines is another story, and has little to nothing do with Airlines treating ALL customers with fairness and common decency. they should NOT need any regulations to do that should they? I don't blame the airlines at all. They have to do what is in their best interest. Lee could be voting on something in the future that could help or hurt the airline. Believe me, they will hand her some ones 1st class seat everyday if they have to. If your deck has two cards, you use what you got. Even SJL couldn't find a way to blame President Trump for this one. All times are GMT -5. The time now is 06:06 PM.